Sandvox was the choice for John G. Shepherd to build his website. He chose the “Smooth Dark” design for the site. People may want to visit the site if they are looking for DJ Hire Sydney, All Mobile Music. Our website is designed to promote DJ Hire Sydney and suburbs, the fact that we are wedding DJs and DJ/MC specialists, and that we have DJs and announcers for any event. We can supply music and a disc jockey or a master of ceremonies as required. With over 38 years experience, our team of event specialists in Sydney is all professionally trained. DJs, disc jockeys and master of ceremonies catering for: weddings, engagement parties, birthday parties, Christmas parties, corporate events, school formals, or wherever music and a disc jockey or a master of ceremonies may be required. We cater to all age groups and musical tastes. We are the wedding specialists in Sydney, but also cater to any event where music and a DJ may be required. The choice is simple - we have over 38 years experience. We only employ people who are professionally trained as DJ's and or master of ceremonies and supply some of the best sound and lighting equipment available. The chosen design just seemed to match what I had envisioned before I actually started. It fit in with the subtle but somewhat elegant theme I was looking for to promote the " wedding specialists " side of our business. 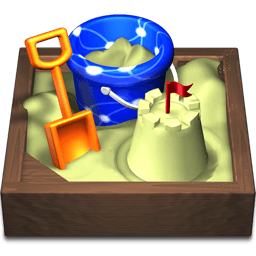 I am a novice when it comes to site building and as such, relied on Sandvox and it's ease of use with Mac. I would like to learn and feel that I am with the help of Sandvox.